On 2 April, the first Metrology Special Interest Group event was held, hosted by Hexagon at Silverstone Park. Top notch speakers treated us to insights from metrology theory to R&D and real-life business applications. Please see links to their presentations at the end of this article. 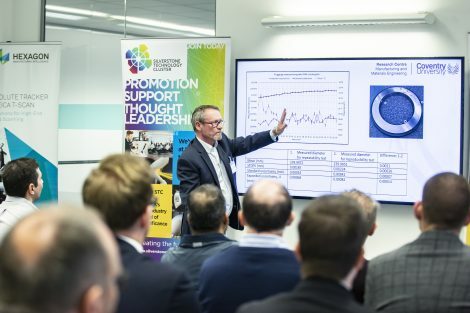 We heard from Professor Trevor Toman, Head of Metrology at Coventry University, about the importance of working with “uncertainty budgets”, high quality machines and excellent methodology in order to get the best measurement data. He explained that the key challenge for metrologists is “to calculate uncertainty” – the more effort they put into managing the method of measurement, the better the data output. Coventry University is a known centre of Engineering excellence with a large team of Metrology experts. 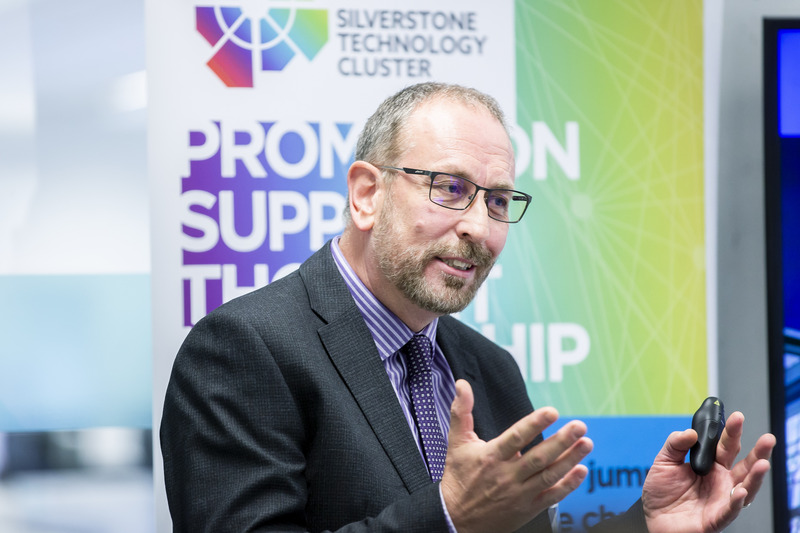 Ian Wilcox looks after Education in Metrology and presented his concerns about the growing skills gap and understanding of metrology within industry. He highlighted how, while there is increasing reliance on the accuracy of measuring equipment, there is less focus on the skills needed to do the measuring accurately. Businesses are at risk of making damaging decisions based on poor data by not understanding that metrology is “qualitative not quantitative”. He advised business leaders to build skills sets as a key prevention to bad decision making, so they are ready for new technology and really know “what to do and how best to do it”. We then heard about two fascinating metrology applications in industry. Daniel Wright from Hofer Powertrain Products, shared the methodology of the design and construction project of a brand new metrology facility within their new UK Hofer manufacturing site. Although the new products are still secretly under wraps, we were given a whistle stop tour, complete with timelapse video, of the complex considerations needed in setting up their facility. Colin McGrory, Technical Director of Sandwell, then enlightened us on the art of shot peening in their high tech surface engineering business. He explained numerous techniques to measure the impact and effect of their shot peening programmes, including the “applied energy” of millions of shot sprayed across a surface to optimise surface quality.